Featured in the book Fast Food Nation and dubbed the”eco-cowboy,” he was an early adopter of Holistic Resource Management practices, sat on numerous environmental boards and was president of the Colorado Cattleman’s Association. Hanna’s opinion was so widely sought and respected, many even saw him as a future governor of Colorado. But when his dream of harmony and sustainability ran up against the reality of family conflict and mounting threats to the land, Hanna lost hope. 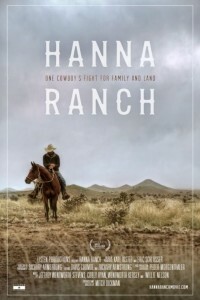 Kirk’s legacy and fight live on as his family and friends continue to protect the West by saving Hanna Ranch.